When you choose a certified pre-owned (CPO) Volkswagen, you’re guaranteed a quality car and confidence on the road. What does our CPO program entail? Let’s take a look. Every certified used Volkswagen car, crossover, and SUV in our inventory has passed our 100+ point dealer inspection. 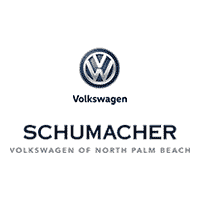 When you’re looking for a used Volkswagen near you, choose a VW dealer that puts your needs first — choose Schumacher Volkswagen of North Palm Beach. To learn more, contact us online, call us at (844) 783-3509, or visit our dealership at 3720 Northlake Blvd., Suite B, in North Palm Beach, Florida. We’re conveniently located near Lake Park, Jupiter, and Palm Beach Gardens.